The Bridgestone Arena in downtown Nashville is the home of the most recent darlings of the NHL. The Predators were just chomping at the bit to begin play in the Stanley Cup Finals but before they could take the ice there was one double bill concert keeping the venue warm for them. 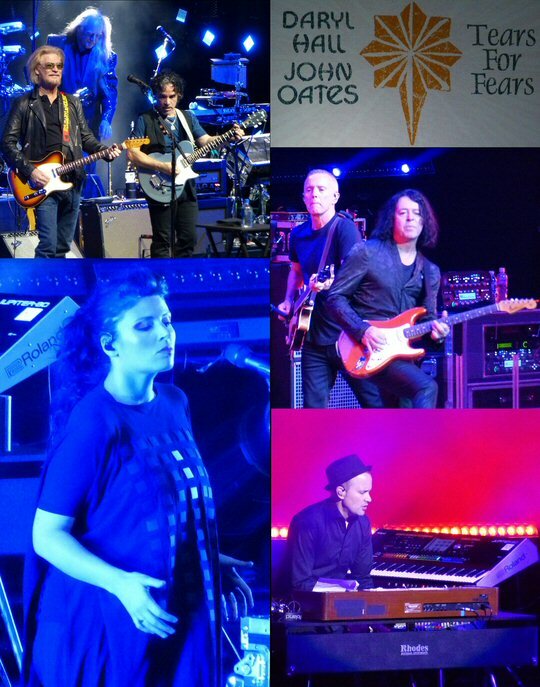 Hall and Oates and Tear For Fears took the stage with enough combined hits to rival a hockey match when they arrived in Music City on May 24, 2017. Hall and Oates and their eight piece band in Nashville. Did we say warm? The capacity crowd on Broadway and 5th was treated to particularly chilly temperature inside perhaps because the NHL team was making every attempt to keep their home ice cold under the glare of national attention that will soon be on them. Still, the two bands who were both at their hottest in the 1980’s did everything in their power to heat things up. Where as hockey players earn their keep with their play on the boards this pairing of talent made their cheese with ubiquitous airplay as they sent hit after hit up the Billboard charts in their heyday. During a press conference prior to the 29-date trek together both acts addressed the somewhat unusual pairing. Sure, the groups are bound together as duos supported by a large backing band and they both came to international prominence in the MTV era. But, their musical styles are quite different. Tears For Fears is an English act with their origins in the new wave synth movement. Hall and Oates hail from Philadelphia where they were heavily influenced by soul and R&B. Were there any concerns about teaming up? Daryl Hall and John Oates at the Bridgestone Arena. The award-winning Hall and Oates took the stage for their headlining 90-minute slot to a fine reception from the notoriously loud Bridgestone faithful. The pair was honored with BMI’s Icon Award in 2008 sharing that prestige with the likes of the Bee Gees, Crosby, Stills & Nash, Paul Simon, Brian Wilson, Willie Nelson, James Brown, Ray Davies, Carlos Santana and Dolly Parton. In 2014, Daryl and John were inducted into the Rock & Roll Hall of Fame and they soon displayed just why these accolades are in order in Music City. 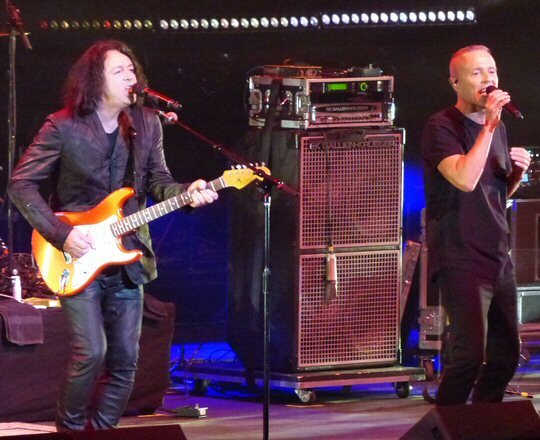 Tears For Fears – Roland Orzabal and Curt Smith – together again in Music City. The audience was already in their seats right at 7 p.m. for Tears For Fears revealing that this double bill really was pretty evenly matched. The shorter 75-minute showcase by the recently reunited Roland Orzabal and Curt Smith reminded everyone of just how many good songs the twosome best known for the opener “Everybody Wants to Rule the World” and closer “Shout” actually have. In between, the six member band impressed with extended versions of “Advice for the Young at Heart”, “Head Over Heels” and a well-placed cover of Radiohead’s “Creep” that got a big cheer. It was announced from the stage that the show in Nashville was the last night on the first leg of the summer tour. 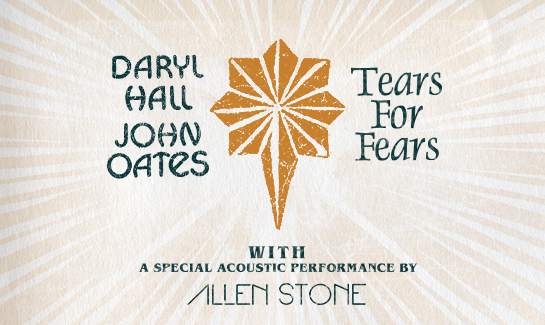 While both bands took different paths in the decades that followed their peak success – Tears For Fears disbanded and Hall and Oates finally found the widespread respect and recognition that they always craved – the combined forces made for a fearsome road show that is all warmed up and ready to roll into a town near you. 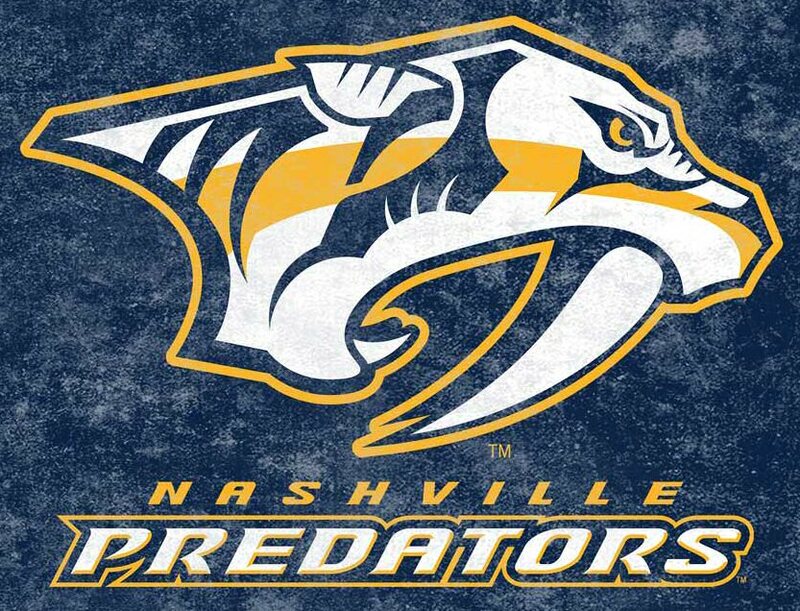 The Bridgestone Arena in the heart of downtown Nashville is an award-winning arena and is home ice for the Predators. It also hosts a wide array of sporting and musical events such as Hall and Oates with Tears For Fears. Upcoming events at the venue include Iron Maiden, James Taylor, WWE Raw, Queen & Adam Lambert, John Mayer and Roger Waters. More scenes from the night of hits in Smashville.